Often, a home remodel includes tearing down walls or stripping rooms down to the studs. But, at some point, those rooms need to be put back together again. 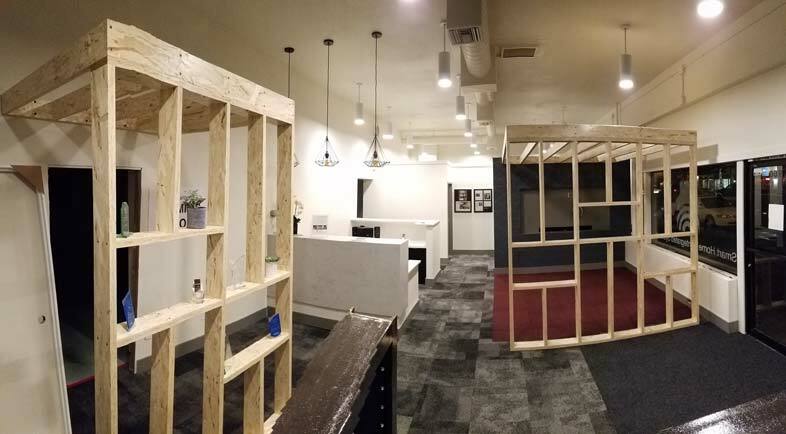 And while framing a new wall, putting up drywall, or running new electricity or plumbing provide the base of a remodel, it’s the custom carpentry and millwork that really makes the new area come to life. With a team of highly skilled, trained and experienced third and fourth generation carpenters, we are able to match crown moldings, trim, flooring, or wall paneling. One of the most important factors in a project’s outcome is the quality of craftsmanship, and Designers Northwest, Inc. takes a great deal of pride in our attention to detail. With a team of highly skilled, trained and experienced third and fourth generation carpenters, we are able to match crown moldings, trim, flooring, or wall paneling. In addition to the finishing work, Designers Northwest, Inc., can either bring back your kitchen cabinets to something that matches the style of the house or take your kitchen remodel in an entirely different direction. As well as overseeing all aspects of our projects, our carpenters produce custom millworks, timber framing, built-in cabinetry and what ever the projects calls for. Whether its an entertainment system built around your flat screen television or a bookcases or shelving units made especially for your office or den. Storage is important around the home – laundry rooms, bedrooms and even mudrooms can use systems that keep the area neat and tidy. Or complete your basement remodel with a custom bar area, complete with cabinets and countertop. All carpentry and millwork will be built to your specifications, including the number of panels on a pantry door to the color of stain or paint on trim pieces throughout the house. 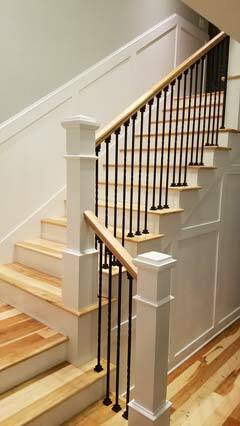 Are you considering a home remodeling project in Vancouver, WA or the greater Southwest Washington area? Tell us about your project. Just an awesome remodel. Better than we had expected, and wonderful workmanship by all. We have recently completed an extensive remodel in Master bath, bedroom, Kitchen, family, dining, laundry, living, hallways etc. Lots of tile work , cabinets, and a 5 month job. We couldn’t be happier with the outcome. MIke and his folks do a super job, and keep tabs on the entire project, working with the sub contractors to ensure the minimum of dead time on the job. Mike’s folks are talented, approachable, and nothing is an issue for them. They work hard to please. The sub contractors they use are also simply excellent. Clean, neat, good craftsmen, and very obliging. We loved the input and suggestions we received from all. It really helped make an outstanding end product. The suggestions, ideas and alternatives presented were just what we needed. We highly recommend Designers Northwest, and would use them again in a heartbeat. All in all a wonderful experience, and we miss all of the folks that became a part of our lives for 5 months. Our best wishes to all. My highest compliments to Mike and his crew at Designers Northwest. They are professional, thorough, talented and they listen. The results were far better than I could have hoped for and considering the complexity of the project I was most impressed with the fact that the remodel was so well done that you can't tell it was remodeled. Fantastic work! !